With this application you can easily access inspirational videos and success stories from a world renowned make-up artist and successful direct sellers from around the world. 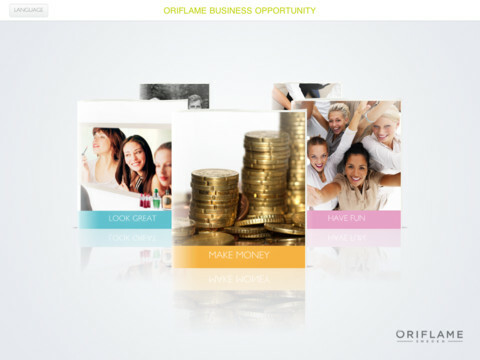 The Oriflame Opportunity for iPad features inspiring beauty tutorials by our celebrity makeup artist Jonas Wramell, along with key benefits of using cosmetic products within the make-up, skin care, fragrance and wellness categories. The app also serves as a guide on how to get started and be successful with Oriflame, providing insight and giving hints and advice about the catalogue and products.